The upcoming World War II related anniversaries can be a litmus test for the strength and sustainability of pragmatism in Sino-Japanese relationship. 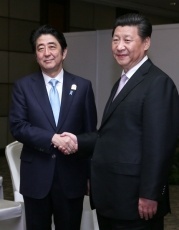 The recent signals of a thaw in Sino-Japan relations are clear: in April, Japanese Prime Minister Abe and Chinese President Xi held their second talk since November last year; in May, Xi unexpectedly met an unusual 3000-member Japanese delegation at a ceremony aiming at promoting people-to-people diplomacy; in June, Chinese and Japanese finance ministers resumed their dialogue which had been delayed for two years. Given this year is the 70th anniversary of the end of World War II, whether or not this momentum can continue is in question with the approaching of a series of commemorations. Notably, China has already announced plans to stage a grand military parade in the heart of Beijing on September 3, the date of the 70th anniversary of the Japanese surrender. 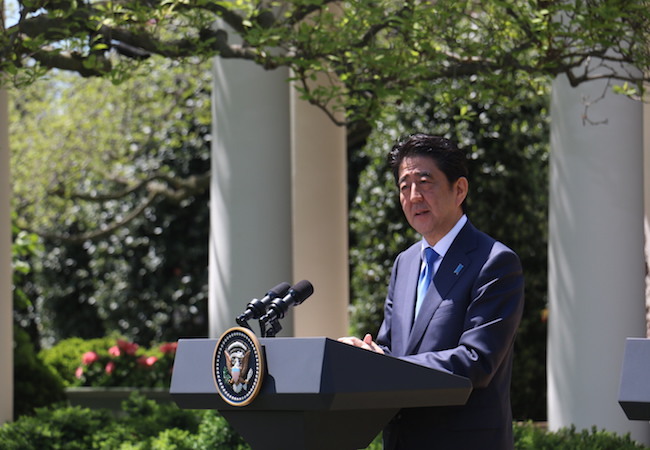 Abe is also expected to issue a war anniversary statement this summer. 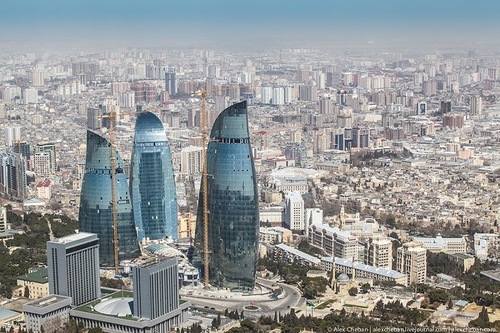 These events are likely to highlight these two countries’ long lasting disputes over history and ignite nationalistic fevers, slowing down or even reversing the present trend towards further improvements of their relations. Tensions on issues of history have long prevented these two Asian giants from building close relations. Sensing the bankruptcy of communist utopian ideals and seeking its new legitimacy from nationalism, China, since the late 1980s, has been criticizing Japan’s reluctance to sincerely apologize for its wartime atrocities. Every Japanese move, especially after the end of the Cold War, to lift its self-imposed pacifist bans on military built-up, to compete for greater political status and to cater to domestic nationalistic favors will invite China’s criticism of Japan reviving militarism. On the other hand, Japan accuses China of playing its history card to interfere in Japan’s domestic affairs and to block Japan from exerting leadership in Asia. Furthermore, the rising nationalism in both countries makes it more difficult for the two governments to compromise on issues of history. Two questions are critical with the approaching anniversaries: will Beijing accept Abe’s war anniversary statement; and will a new wave of Chinese anti-Japan propaganda trigger new surges of nationalism in both countries, forcing both sides to slow down their rapprochement attempts? The former question will, to some extent, determine the answer to the latter. If Abe’s statement shows clear deviations from the stances taken by former prime ministers, Beijing is likely to ramp up the anti-Japan rhetoric, which might trigger a new vicious cycle of nationalistic movements in both countries. In this context, a halt to the ongoing rapprochement attempts will occur. Considering his political stance and Japan’s domestic constraints, Abe is unlikely to make a statement that satisfies Beijing. That said, Japanese government should at least make sure the statement does not irritate Beijing. A better choice is that Abe can issue a statement that makes some progress on issues such as “comfort women”. Meanwhile, Beijing could use these anniversaries to promote its image among Japanese people. A good opportunity is the 70th anniversary of Hiroshima bombing. China has always been absent from the Hiroshima bombing memorial ceremony, sometimes even attacking Japan for using this tragedy to conceal its war responsibility. Considering that last year, representatives from nearly 70 countries and organizations, including the U.S. ambassador, attended the commemoration, this attitude is shortsighted. Hiroshima has become a symbol of Japan’s post-war pacifism. China’s first attendance, which will make headlines, can show condolences to the bombing victims’ families, softening China’s aggressive image in Japan, and send the message of calling upon Japan to stick to the pathway of peace. To build truly future-oriented ties, Beijing and Tokyo should think deeply of how to handle the upcoming anniversaries to avoid potential harm and seize opportunities to gather new momentum towards rapprochement.